Take care of your Security Groups in the public DMZ subnets. Only the public “DMZ” subnets have a direct connection to the internet. The communication with other teams is only possible over the internet. Instances in a Private subnet can only talk to the internet via a NAT-Instance. The NAT-instances are in multiple Availability Zones (AZ), therefore every PRIVATE SUBNET can communicate to the Internet. 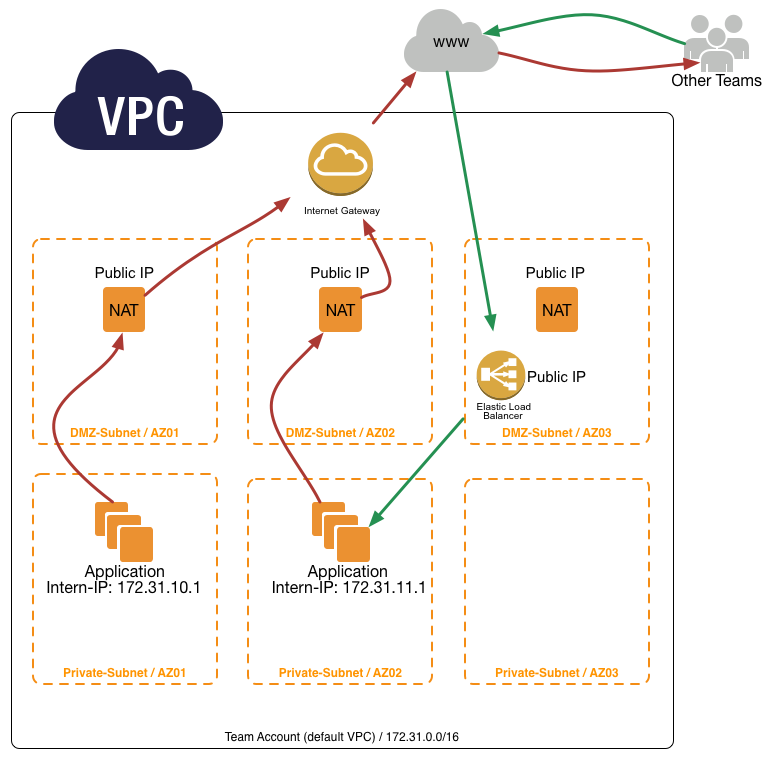 The following pages describe our Amazon Web Services initial setup. This is only for a whole new AWS Account (a new account for a Team or Service).